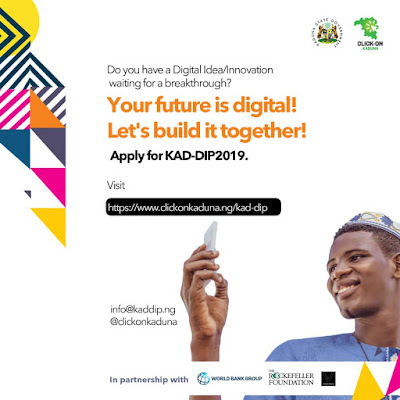 The Kaduna State Government, in partnership with the World Bank and the Rockefeller Foundation, have launched a new program called Click-On Kaduna Digital Entrepreneurship Incubation Program (KAD-DIP) - designed to boost digital entrepreneurship and create opportunities for youths between the ages of 18-40 in Kaduna State by equipping idea-stage and early-stage entrepreneurs with the skills and knowledge required to start and grow excellent digital enterprises. KAD-DIP’s 6 months incubation program comprises of MEN only and WOMEN only tracks (two tracks). Selected participants will receive training, mentorship, and resources that will enable them to create viable products, go to the market and gain traction. In 2010, Instagram was launched and has taken the world by storm. It seems like everyone on the planet is on the platform. Dot. is a digital mobile payment service that is focused on making your financial life easier and so much better. DEMO AFRICA 2018 Register your startup Now!